I recently became curious about African Saabs and set out to explore what does Africa has to offer in terms of Saabs. South Africa used to be a Saab market. Delta Motor Corporation, a local South African company who produced Opels in South Africa, imported Saabs until 1999. Absolut Motor Holdings, a family owned South African automotive business, became the importer of Saabs in 1999 as Saab South Africa. It saw Saab car sales increase from approximately 240 cars in 2000 up to 750 cars in 2003. However, the company ran into financial difficulties and closed its Saab dealerships in Cape Town, Pretoria, and Johannesburg in October of that year. Delta Motor Corporation then went into negotiations with Absolut. General Motors (GM), which had increased its shareholdings of Saab from 50% to 100% four years earlier and increased its ownership of Delta from 49% to 100% in early 2004, continued negotiations with Absolut. GM South Africa became the distributor for Saabs in South Africa by mid-year 2004. Spyker Cars NV acquired Saab from GM one year ago this month. This led to a change in a number of national importers, including South Africa. Saab quickly started wholly owned companies, such as Saab Cars North America and Saab Automobile Espana, to continue importing cars to their respective countries. However, South Africa is without an importer for its cars. GM continues to stock parts, honor warranties and provide after sales service through ten dealers. One dealer that services Saabs told Saabworld that they do not have any plans to sell new Saabs through their dealership. Botswana and Namibia are two countries that border South Africa and are economically interwined with the South Africa. Botswana is a stable country with Africa’s longest duration of having a multi-party democracy and a middle income nation. Both countries have one GM dealer that is an authorized service facility. Saab does not have an importer in Nigeria. However, Saabs do find their way to Nigeria, Africa’s most populous country with over 150 million people. According to the Wall Street Journal, used cars from the United States dominate the market. An estimated 155,000 used cars were imported in 2008, one third of them from the U.S. Berger Auto Market in Lagos is a used car market of about 5,000 dealers selling 30,000 cars at any one time. Cash transactions are common. 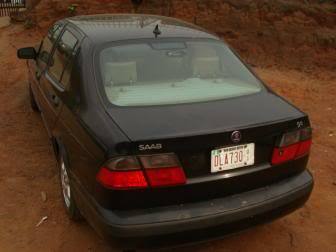 One dealer in Ajah east of the largest city, Lagos, has a 2000 Saab 9-3 listed for an equivalent of $5,000 (€ 3 600). He says that he has a supply of parts that a customer may buy with the car, if desired. He told Saabworld that there are plenty of mechanics in Lagos who are familiar with GM cars and can service the car. A prospective buyer writes in a Nigerian car forum that he is not so certain (but not referring to this particular Saab). There is the feeling that most newer cars have a very high level of computerized technology that the local mechanics cannot adequately service except for a few very expensive garages. Another car buyer remarked that Saabs are not a favorite because people like flashy or large cars and SUVs, using the term “afefe yeye” (jolly-jolly or king of the road). Even in this big world, local contacts are important. Many of the used cars are sourced from U.S. dealers in Texas and New Jersey where Nigerians have developed business relationships. Late last year, the Nigerian government relaxed a ban on importing older used cars by permitting cars up to 15 years old to be imported, instead of the previous regulation limiting importation of cars up to 10 years old. This may increase the number of more expensive cars as their price, at 15 years old, is affordable to a larger segment of the population. In the 1970’s, privately owned green colored cars were not allowed in Nigeria, but that’s a different story. Saabs are largely absent from Kenya but there is currently a 2004 Saab 9-5 that a Kenyan used car dealer notes is “ready to be imported”. The photo shows a car with Singaporean license plates. Singapore and Japan are two of the biggest countries of used car exports. A Kenyan agent is prepared to bring this car to Kenya if there is a buyer. With the February, 2011 announcement that Saab Automobile AB is forming a new global sales structure with a regional director for the Asia Pacific, Middle East and Africa region, perhaps new Saabs will come to Africa. Until then, only used Saabs will be available for sale in Africa except if an individual transports a new Saab from another country and continent. Saabworld readers in Africa are encouraged to let us know of Saabs in Africa. 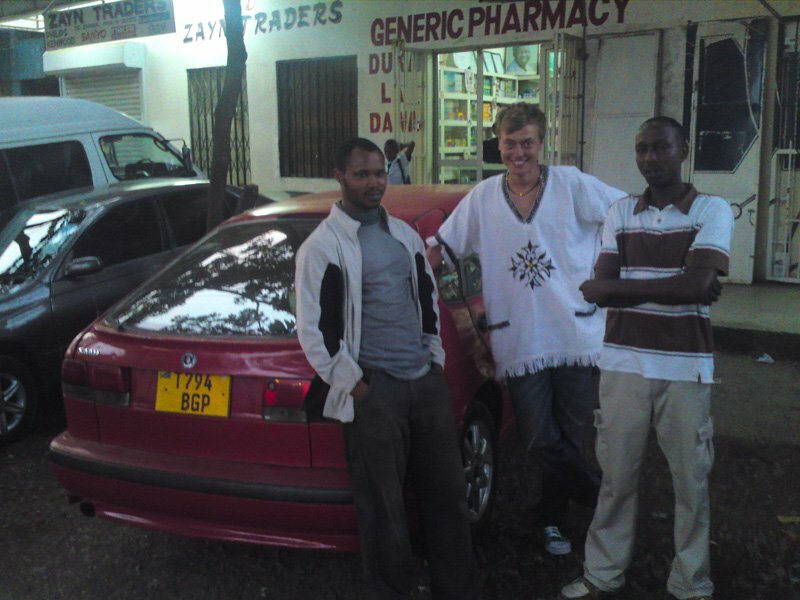 UPDATE (March 2011): Saabworld user, Golfhunter, informs us that a Swedish tourist spotted a dark red original generation Saab 9-3 in Tanzania. The owner, a Tanzanian, reluctantly agreed to have his picture taken with the car. Thanks to Golfhunter and Anton B. Another two Saabs, an original generation 9-3 and a classic 900, have been spotted in The Gambia. 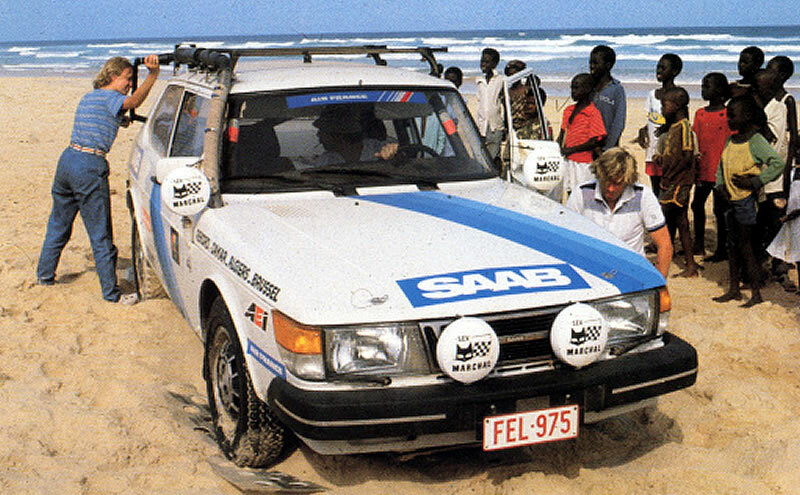 My guess is that the Tanzanian Saab might be from Singapore but the Gambian Saabs are either American or French. French used cars end up in Senegal, which borders to the north and south of The Gambia. 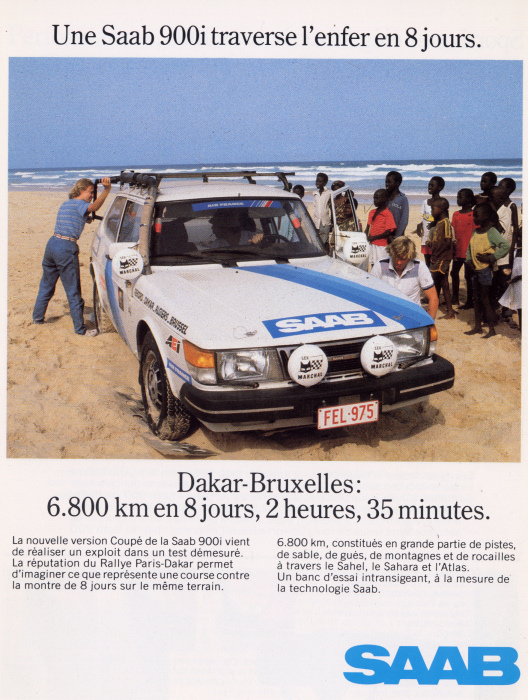 Saab advertisement from 1984 showing a Saab transported to Dakar, Senegal then driven through the Sahara desert and eventually into Brussels in 8 days.